Every summer, music fans in Chicago look forward to the annual return of one of rock’s annual mega-festivals, Lollapalooza. For sheer people watching, not to mention the variety of music on offer over three consecutive days, the Lollapalooza Festival cannot be beat. For the nature enthusiast, however, who perhaps prefers the birds to The Byrds, this type of concert scene can be a bit overwhelming. We at Take A Hike would like to offer an alternative Summer Tour, lovingly-entitled Puffin-Palooza. The following is your concert guide to four of Iceland’s greatest stops on a summer tour of the country’s most beloved band bird, The Puffins! So grab your (concert) ticket and don’t forget the camera for those groupie fan photos, because you, my friend, are on Summer Tour. If birds are your thing, a visit to Iceland should definitely be at the top of your list. There are great birding venues all over the country, and you will see large quantities of Iceland’s species everywhere, giving the dedicated birding afficianado ample opportunities to see some great performances. Hands-down, the star of Iceland’s non-stop bird show is the Atlantic puffin. This colorful little sea parrot is impossibly cute, and we couldn’t get enough of them. 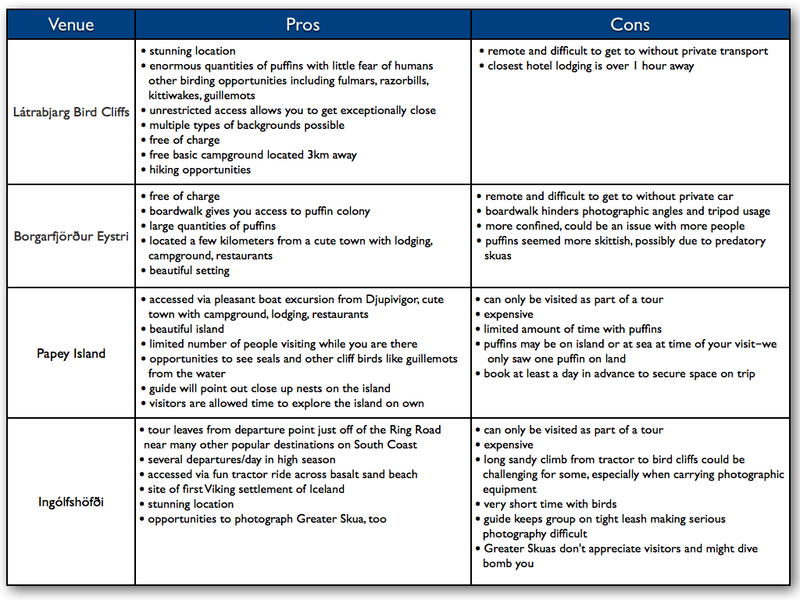 During our trip, we went to four different puffin hotspots—each with its own set of pros and cons—to catch them in action. Their summer concert season is just getting underway in Iceland, and we encourage you to attend as many Puffin concerts as possible. The more time you spend with the band, the more you will appreciate the nuances of each performance. Here’s what we learned from our summer of being Puffin groupies. First stop on Summer Tour is the grand daddy of all “rock” festivals, the Látrabjarg Bird Cliffs. Located in the Westfjörds, Látrabjarg is the premier concert venue for seeing The Puffins. Like Colorado’s famous Red Rocks, Látrabjarg is a natural amphitheater complete with 360º surround-sound acoustics. Unlike other concert venues where you need a special ticket to get up close to the musicians, visitors here are granted an “all access pass” with front row tickets to anyone who has the patience and resolve to get there. We highly recommend the FREE 3-day pass to properly appreciate all the acts on offer. There’s plenty of space to picnic and even a nearby free campground. And, if you need a break from all the action, you can escape the crowds (20 or so scattered photographers) by taking a spectacular hike along the scenic cliffs of Europe’s western-most point. When The Puffins are between sets be sure to check out the other acts on the side stages, including: up-and-comers The Kittiwakes, heavy metal faves Gull and Crossbones, and the edgy punk band The Razorbills. While Látrabjarg might not have quite the celebrity draw of more well-known American festivals like Coachella, sightings sometimes do occur. When we were there, we found ourselves in the middle of the mosh pit with famed nature photographer, John Shaw. Live! at Látrabjarg will not disappoint even the most avid fan of The Puffins. It is the must-see concert on the summer puffin tour. But if big venues like Látrabjarg aren’t your thing, worry not! Iceland has several smaller venues each with its unique setting and ambience that will appeal to even the most discerning music aficionado. Want to get away from the crowds? Just venture over to Iceland’s east coast to the off-the-beaten path town of Borgarfjörður Eystri. More akin to going to a bluegrass festival than attending a stadium show, Borgarfjörður Eystri gives you a chance to see The Puffins in a smaller setting playing quieter acoustic numbers. If you are lucky, you might even hear them play their rarely heard tune Beak Full-o-Fish, and you won’t want to miss their spectacular air show. Borgarfjörður Eystri itself has a folksy feel to it, family-oriented and friendly. Don’t forget to stop by the Álfa Cafe for a bowl of their delicious fish soup, just the sort of concert food to warm your belly before heading back out for the next set. Be aware of the bouncer named Skua who occasionally harasses the band. On our last trip to Borgarfjörður Eystri, we were also treated to a rare performance by The Harlequins, a popular though difficult-to-catch a capella group. Enjoy island cruises/excursions, do you? Well, check out the Papey Island Fest off Iceland’s southeast coast. You’ll be treated to a pleasant boat ride out to the island with brief sets by The Razorbills and The Guillemots as well as a special encore by Melvin Seal and the Sea Lionettes! Once you arrive on the tiny island of Papey, it’s up to you to find your patch of grass from which to view the show. Unlike Borgarfjörður Eystri with its somewhat restricted viewing area, Papey has open seating, perfect for a picnic while you enjoy the band perched atop a natural bay. You have to be lucky to catch The Puffins at the right time, so, if they are there, act fast to secure this hard-to-get-ticket to a truly unique venue. 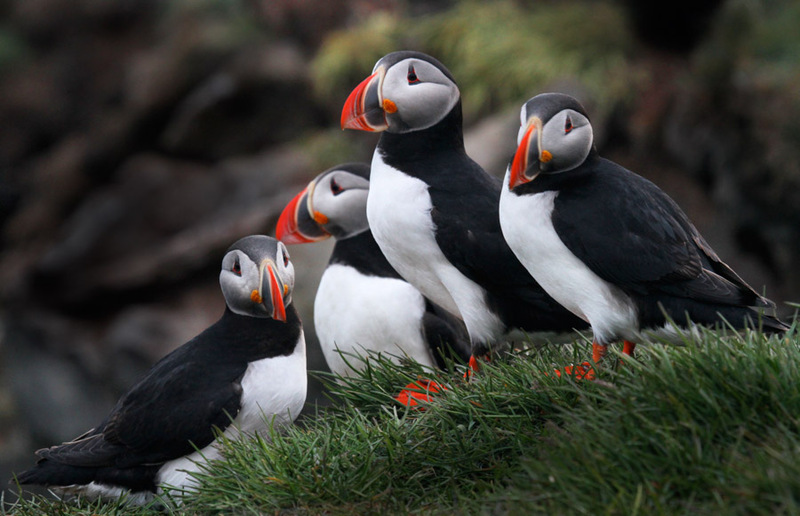 The final stop on Puffin-Palooza is Ingólfshöfði. Catching a show at this venue involves a tractor ride across black sand beaches and a cliff side stroll in a truly magnificent setting. If this sounds like your idea of a good time, then this place is worth visiting. Although the set is restricted in length and the size is limited to spaces on the flatbed trailer out to the venue, Ingólfshöfði offers a bit of history along with the “music.” This is where the first Vikings landed to begin settlement, and the dramatic setting along Iceland’s central south coast overlooking the ocean cannot be beat. As you catch The Puffins one last time on Summer Tour, you gaze out at the tranquil waters and dream of your next chance to catch the band in action. 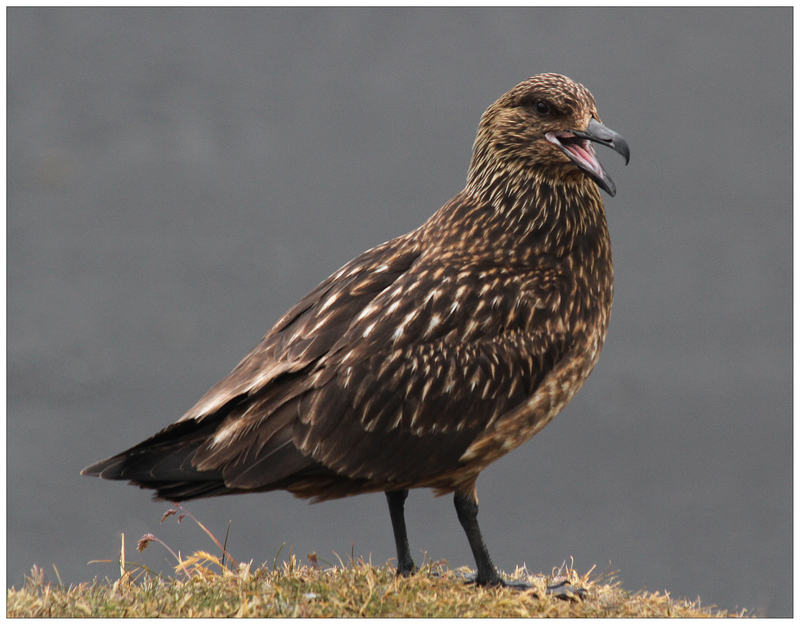 When we were there, we also caught the Greater Skuas as the opening act. In case this is all a bit overwhelming, we’ve created this handy concert-goers guide to Iceland’s Puffin-Palooza. Be sure to let us know if you decide to catch The Puffins this summer in Iceland or anywhere else they might be playing and tell us which is your favorite venue. We hope you enjoy the show! Click to enlarge and view in separate window. It was so nice to see you in April (well, except for the reason for the get together, of course). I just wanted to tell you both that I really enjoy these posts, both the pictures and words. So, thanks for sharing because they are great. Safe travels to India this summer. Look forward to hearing and seeing all about it. Thanks so much, Amy. We really enjoyed seeing you, too, and hope you’ll visit more often under better circumstances. We look forward to telling you all about our trip over an Indian dinner on Devon in the fall, okay? Cheers! Those puffins are wonderful. They look almost other worldly. By the number of great photos, I’m assuming there are quite a few of them. That must have been a lot of fun. Thanks, Lyle. It’s almost impossible not to get a great shot of a puffin, especially when you can get so close to them. And, yes, there are quite a few of them–thousands! Shooting them in Iceland is really a photographer’s dream come true. Love the updated postings, in addition to the Laugvageur we will be hiking in Skaftafell, and plan o doing the loop hike you mentioned, seems amazing! Any idea on the elevation gain on that 14-15km hike? Also did you find the trails (Laugvageur and others) to be well marked? We have a trail map, and will likely pick one up for Skaftafell at the park itself (assuming they are available). We are also going to the Westmann Islands to check out the puffins! We leave on Sunday for 10 days and can’t wait. Thanks for your reply and for the helpful information/videos! Very cool! You are going to have an amazing time. We don’t know the exact elevation gain on the Skaftafel hike, but it was pretty manageable, probably no more than 1500 feet up and then back down over the total trek. You will be so busy looking at the beautiful scenery that you won’t be thinking about the work too much. The trails are well-marked and don’t require any route-finding, but a map is always useful. 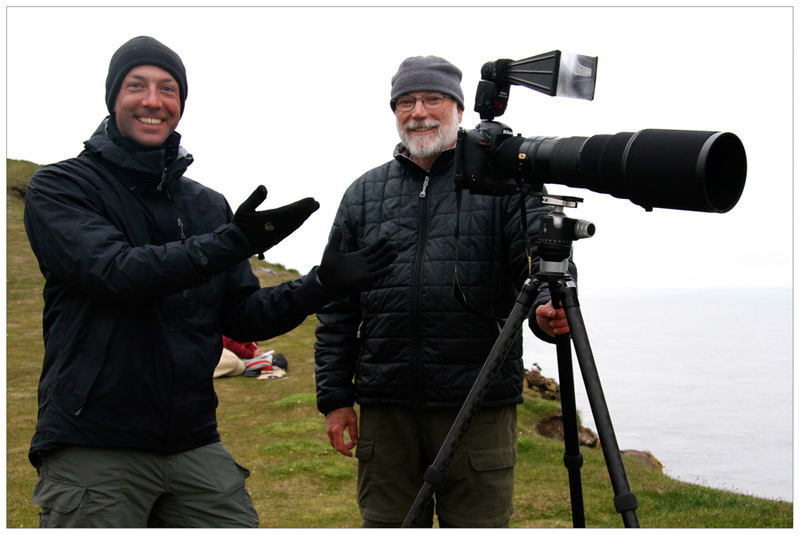 Please let us know how the puffins are in the Westman Islands. We didn’t have a chance to get there but wanted to. Have a great trip!